Pray for all the resources and creativity needed to fulfill the intentions of God in the state of Vermont. State Information: In 1609, French explorer Samuel de Champlain came upon a large lake in the area we know today as Vermont and named it after himself. 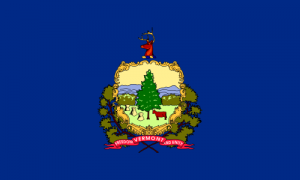 The state’s name comes from two French words vert (green) and mont (mountain), which explains Vermont’s nickname, the “Green Mountain State.” Ethan Allen and the Green Mountain Boys defended their homeland from the British during the Revolutionary War. Vermont is one of the six New England states and became the 14th state in 1791. Some of Vermont’s major industries are dairy farming and tourism. One of the most picturesque states, Vermont has millions of visitors each year who come to see the leaves turn colors in the fall and the snow-covered mountains in the winter. The state flower is the red clover and the tree is the sugar maple. Vermont maple syrup is one of the state’s most popular products.